Disclaimer: This post was sponsored by BOSU, but all thoughts and opinions are my own. We truly appreciate all of the brands that support the Fit Approach/Sweat Pink community. As you all know, we love our at home workouts and we love to find new ways to spice them up! 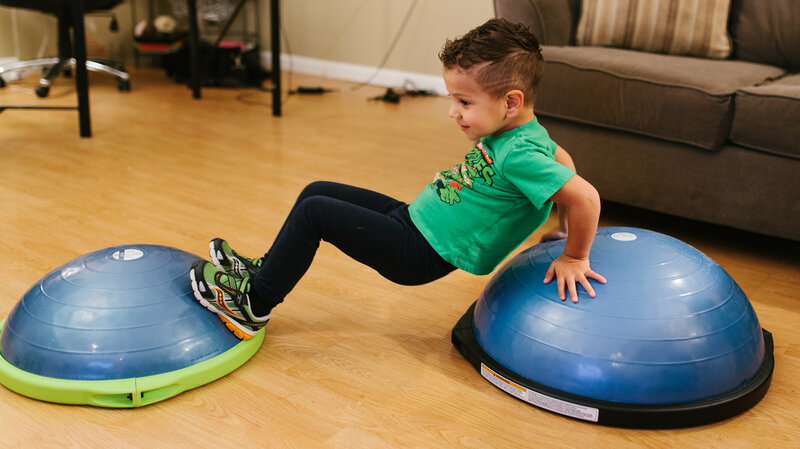 Enter the BOSU Sport and BOSU Sport Kids Workout DVD. 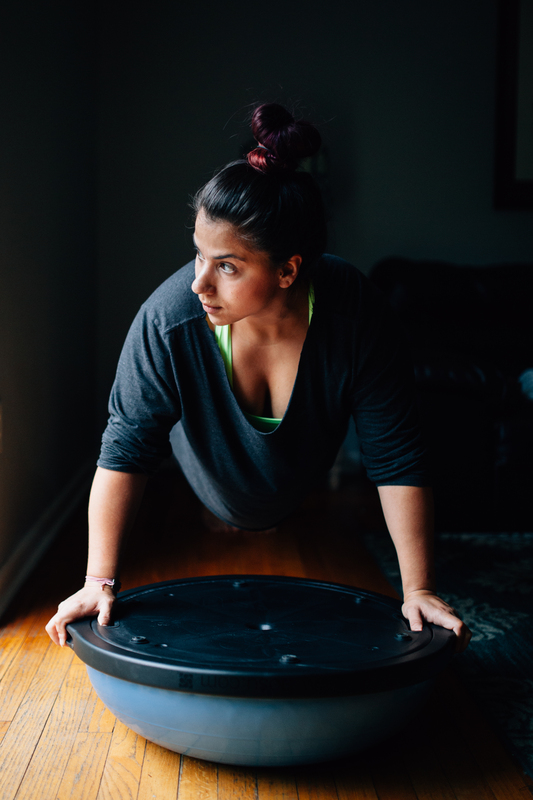 The BOSU Sport is perfect for your favorite tiny workout buddy! My son had a blast following along for a short while, but I don’t think he’s quite ready for the full length workouts that are featured in the DVDs (he’s only 3.5 years old and the DVDs are for ages 6-12). The DVD moves were quite a bit advanced for my little guy so we often improvised and did our own thing. 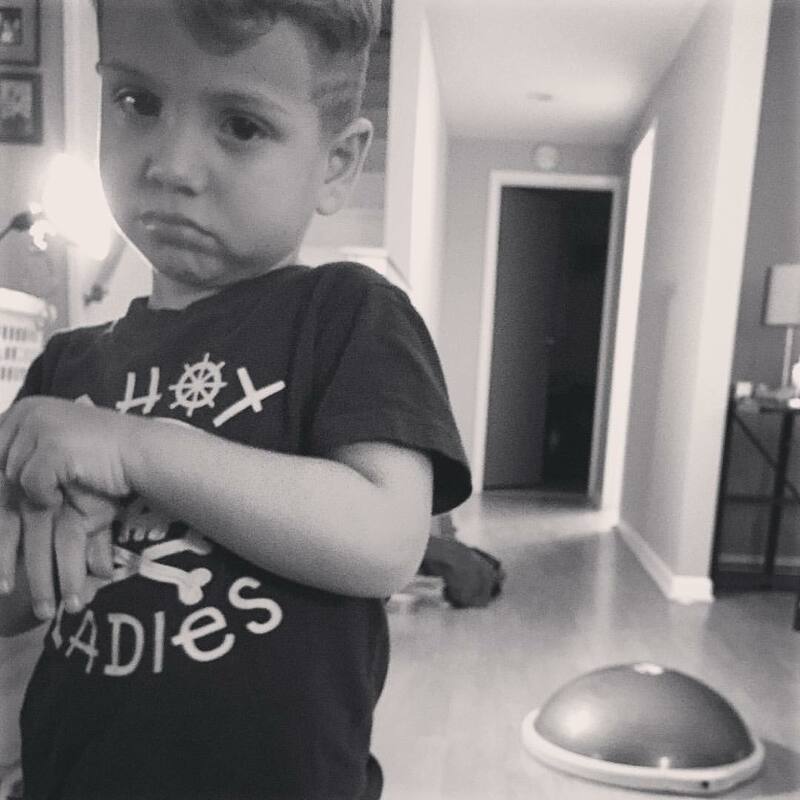 From planks, to jumps, to squats, he thoroughly enjoyed himself, but as you may have guessed he wasn’t always thrilled to workout with the BOSU (as seen below). He’s three and he knows he has a reasonable amount of free-will. I can’t force him to join me with every routine and that’s okay. I don’t ever plan to forcefully push my kiddo to do something he doesn’t want to do, but my positive influence does transfer onto him! There were many times I would catch him copying movements he had seen me perform. Like these BOSU tricep dips! He was actually able to dip himself and push himself back up…ALL ON HIS OWN! (I supervised of course). 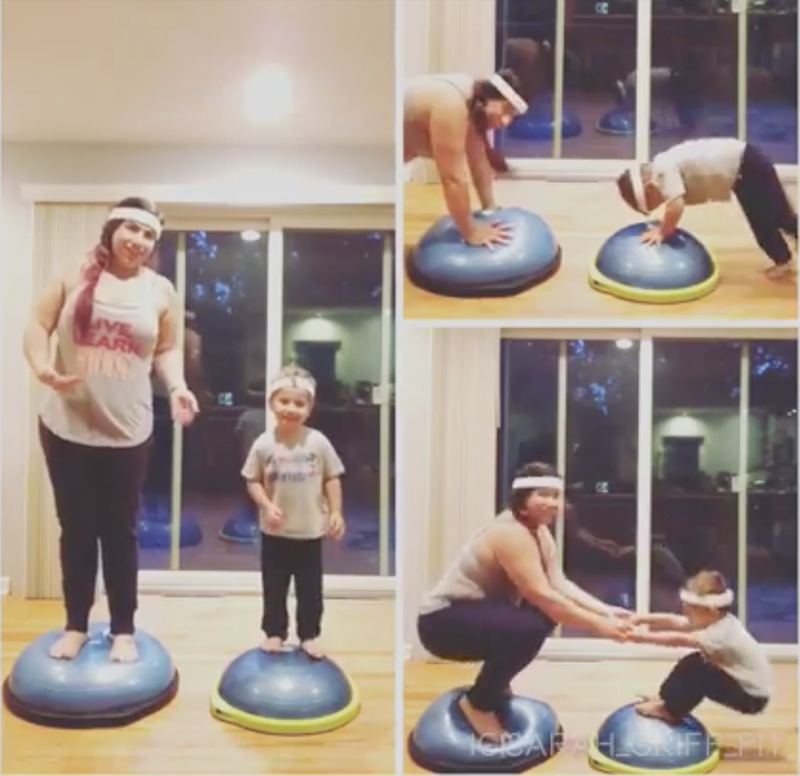 I look forward to finding new ways to incorporate the BOSU Sport and BOSU Balance trainer into our Mommy and Me routines. As for me? I think my favorite moves are a tossup! I love the side lunges and squats, but I am also a huge fan of planks and core work. 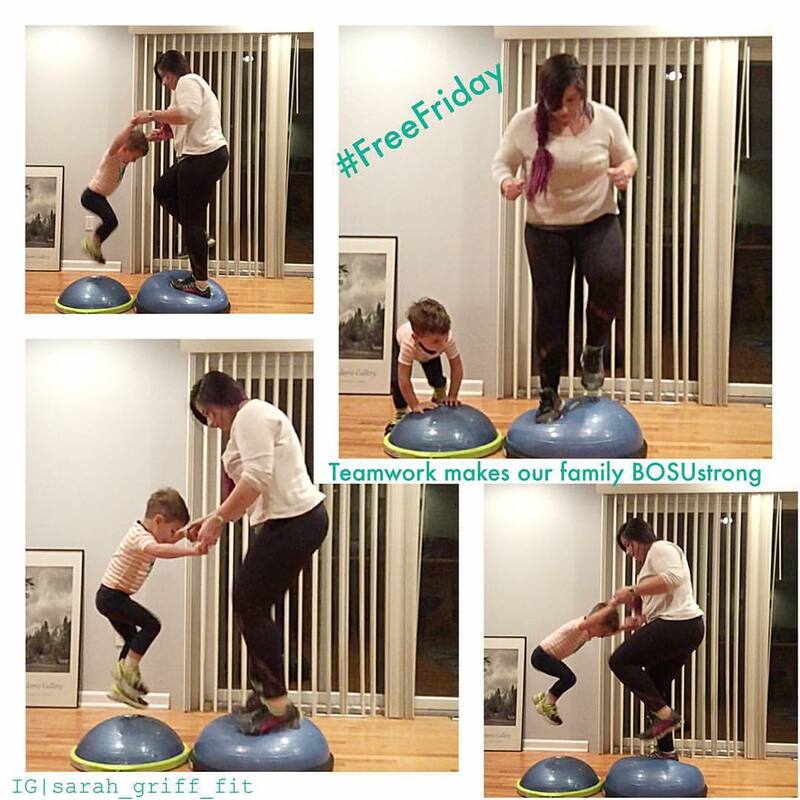 Are you interested in incorporating the BOSU Sport into your family workouts? Use code: BOSUSWEATPINK15. 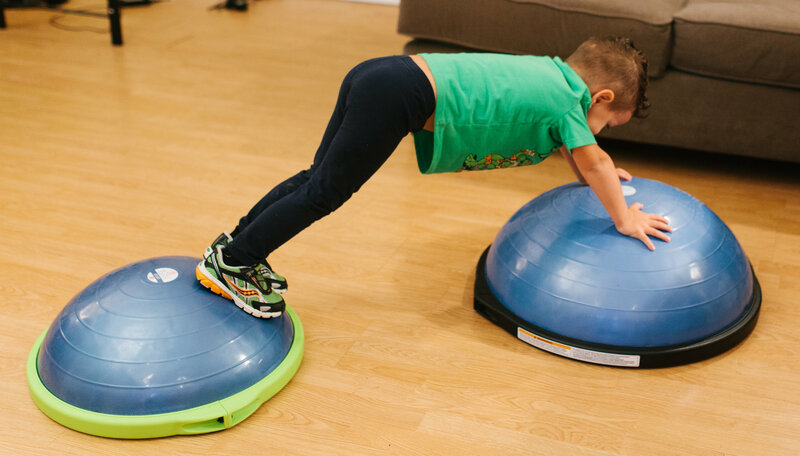 This will give you the following offer: Purchase a BOSU Sport and get the BOSU Sport-Kids DVD for FREE! !